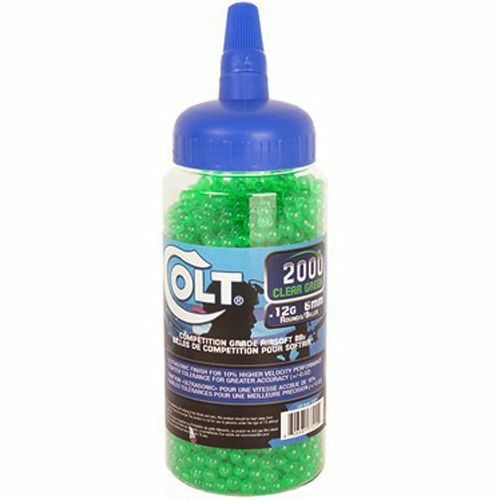 Your opponents will be green with envy when they spot your new airsoft ammo. Not only do the Colt .12g BBs come in a cool shade of green, but they are also designed to improve accuracy and increase velocity rates by up to 10%. The competition grade BBs come in an easy pouring spout bottle and include 2,000 rounds.